Vision for a Nation is seeking a Finance and and Administration Officer based out of Ghana. Vision for a Nation (VFAN) is a multi-award-winning UK charity. 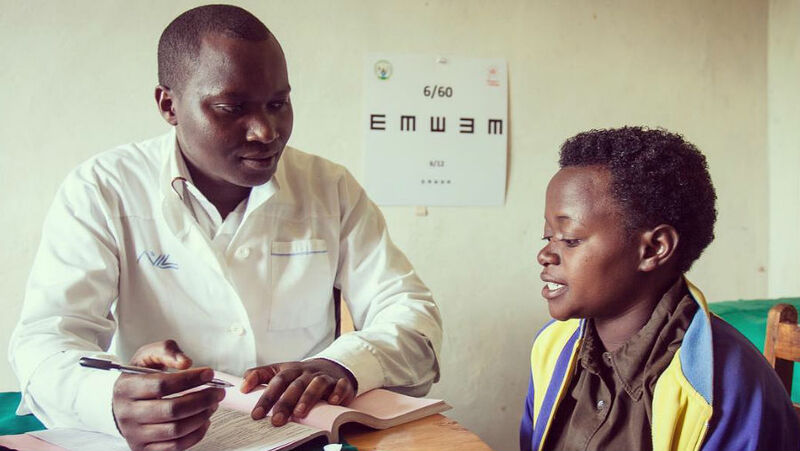 They are helping people to fully contribute socially and economically to their communities by ensuring they have access to basic eye care services. Over the last 5 years with the support of their founder, philanthropist James Chen, together with funding from DFID, USAID and UBS Optimus Foundation they have transformed eye care in Rwanda and in 2018 are starting up programmes in Ghana while also working with global corporations to vision screen their workforces. They will be harnessing the power of technology – by working with entrepreneurs, tech firms and innovators so that the challenge of poor vision can be addressed quickly and effectively. They need great people to help them on this journey and are looking for an excellent, experienced Finance and Administrative Officer to join their team. They are looking for a highly motivated individual, a self-starter that loves working in development and is genuinely interested in ensuring all Ghanaians can access affordable, quality eye health services. They are looking for someone that is willing to develop with the organisation, has an entrepreneurial spirit and is adaptable to change within a growing organisation. You don’t need to have a public health or eye care background to work with them. They need their people to be self-starters, innovators and able to get on and work with people from many cultures and backgrounds. Reporting in to the Programme Manager – Ghana, the purpose of the Finance and Administration Officer role is to support the implementation of VFAN’s programme on the ground by managing the finance function in Ghana, including administration and logistics, and supporting fundraising work in Ghana and the UK. The role will work closely with other VFAN staff both in Ghana and the UK, to achieve VFAN’s organisational objectives. This position will be based out of their office in Accra and may require travel within Ghana to ensure effective financial management and monitoring of their work. This role would be ideal for someone with at least 3 – 5 years’ experience of working in NGO financial management, who is looking for a new challenge, to take on more responsibility and contribute to a small but growing international development organisation. The successful candidate must have the legal right to live and work in Ghana. Please see the Job Description for full details. To apply, please send your CV (maximum 3 sides of A4) and a covering letter (maximum 2 sides of A4) outlining why you are interested in this role and how your experience meets the requirements to louise.storey@vfanf.org by 18:00 Ghana time, on Wednesday 10th October 2018. To learn more about us, visit our website at www.visionforanation.org.